The first stop on our vineyard voyage is one of the three main wine appellations of Mendoza and the oldest: Maipú. It was here that the European immigrants established the first wineries in the region. We will visit two small wineries in this area, and have a barbecue lunch at one of them. Following lunch, we will head to our hotel in the heart of Mendoza's wine country, where we will have time to unpack and take in the beautiful grounds. Dinner will be in the local town of Chacras de Coria, which hosts a weekly carnival and market on Sunday evenings in the town square. Following breakfast at the hotel, we will explore our last winery from the Maipú appellation, owned by a historic wine-making family from Mendoza. Lunch will be a tasting menu featuring the wines of a beautiful winery estate in Luján de Cuyo, the region's second main wine appellation. After lunch, we will visit one of the most striking wineries in all of Mendoza, architecturally-speaking, but also for the foresight and innovation of the family that runs it. Dinner this evening will be at the hotel, and I’ve arranged a special surprise for the entertainment. 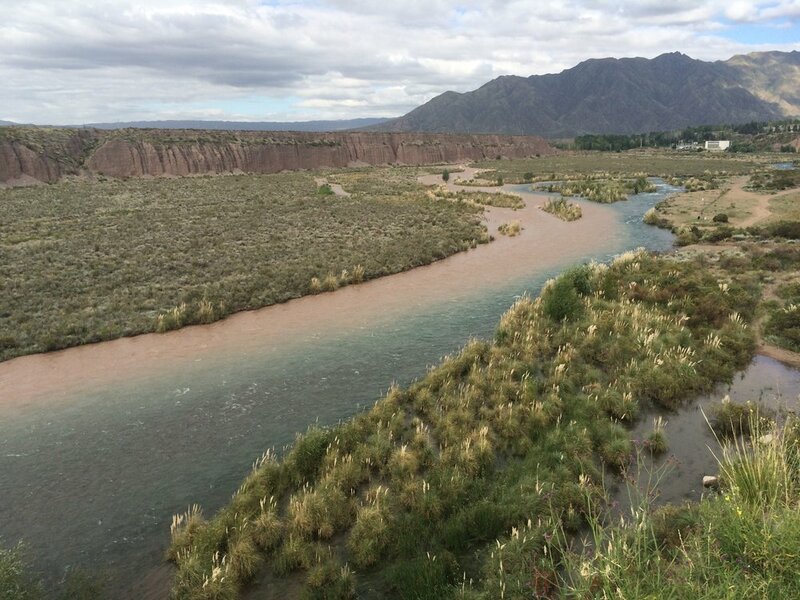 Today is dedicated to exploring the incredible natural beauty that Mendoza has to offer. We will explore the foothills of the Andes on horseback under the canopy of Argentina's famous blue skies. A traditional asado will follow. Dinner this evening will be on your own. You will be provided with a list of restaurants in walking distance from our hotel. The time has come for some well-deserved rest and relaxation. Enjoy a morning in the hotel's in-house spa, selecting from a series of wine therapy treatments (included in the tour price). In the afternoon, we will have a cooking class, in which we'll be taught to make empanadas, chimichurri and other local specialties. Dinner will be our own creations! Enjoy a late morning, perhaps choosing to sleep in or to wander the vineyards surrounding the hotel. We'll then depart for our hour drive to Uco Valley, the last of the three wine appellations in Mendoza which boasts high altitude vineyards responsible for elegant, fresh wines. 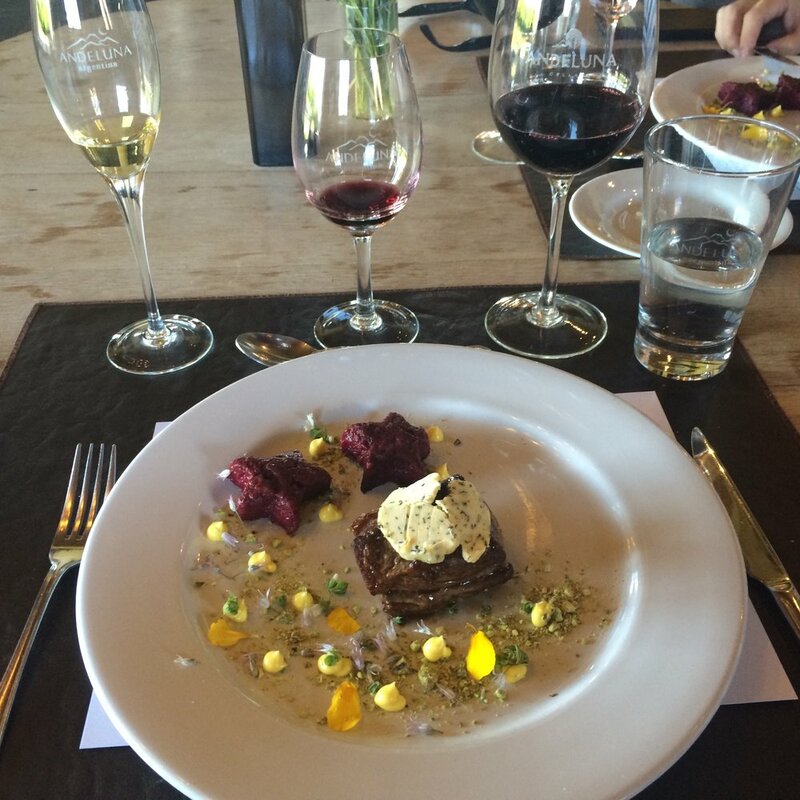 Lunch will be at a winery that offers home-cooking served in a beautiful outdoor setting. In the afternoon, we'll visit another winery in the area with a beautiful estate. Enjoy the mountain views out your window as we return to our hotel. Dinner will be in nearby town. Before we head back to Mendoza's city center and bid each other adios, we will visit one last winery: the first bio-dynamic winery of the region. We'll tour the healthy vineyards and learn the interesting farming practices of this special estate. Our farewell lunch will be at Argentine chef Francis Mallman's restaurant 1884, famous for its wood-fired meat dishes—the perfect pairing for a glass of Malbec!